Hello and welcome back to Chapter Crafts. 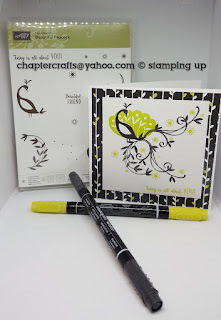 Today I have made a very simple card using a sale.a.bration free stamp set beautiful peacock from stampin up! First you need Whisper white card stock cut to 9 7\8" x 4 15\16" and score @ 4 7\8"
Petal passion designer series paper 4 3\4" x 4 3\4"
Whisper White card 4" x 4"
Labels: Beautiful peacock card from stampin up! True gentleman card stampin UP! Epic celebration card stampin up! Graceful garden tent card stampin up!